Mint, the online personal finance dashboard, which I covered previously when it made a big splash by launching at TechCrunch40 last fall has launched a redesign. The past design won a Webby Award for its design but the new site adds some additional features. The new features include educational “how to” guides on managing critical money management issues, enhanced budgeting tools and the addition of investment and brokerage accounts, mortgage, student and auto loans. 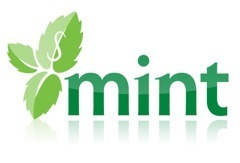 Check out the new Mint if you are looking to try an online personal finance site. Other solid options also include Geezeo and Quicken Online.